Juan Valeron’s faith journey is a great example of how new believers often face trials early in their walk with Christ. 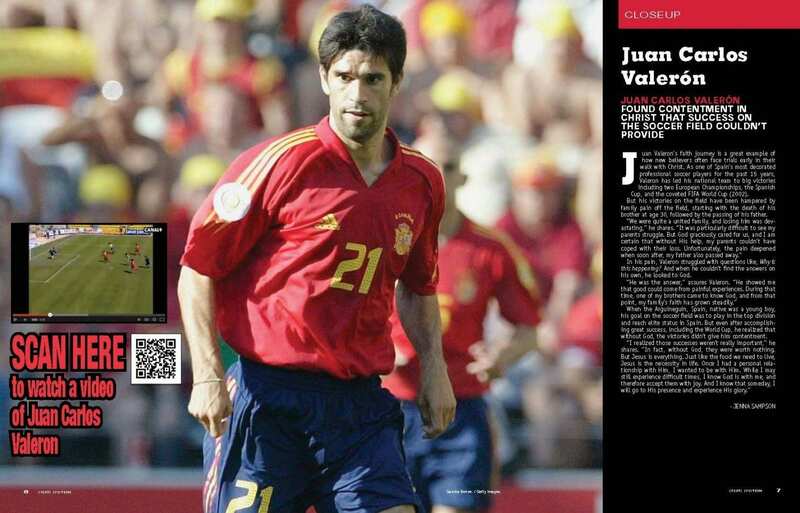 As one of Spain’s most decorated professional soccer players for the past 15 years, Valeron has led his national team to big victories including two European Championships, the Spanish Cup, and the coveted FIFA World Cup (2002). But his victories on the field have been hampered by family pain off the field, starting with the death of his brother at age 30, followed by the passing of his father. In his pain, Valeron struggled with questions like, Why is this happening? And when he couldn’t find the answers on his own, he looked to God. When the Arguineguin, Spain, native was a young boy, his goal on the soccer field was to play in the top division and reach elite status in Spain. But even after accomplishing great success, including the World Cup, he realized that without God, the victories didn’t give him contentment.